You can’t pick a newspaper or browse the web without being pounded with the latest weight loss aid. Not just weight loss pills. There are weight loss powders, teas, bars, shakes and who knows what will be next. When it comes to the bottom line – how much weight you can actually lose using these weight loss aids – most of them backfire. They help you achieve short term weight loss but maintaining your weight over time is hard. Most of these weight loss aids use cheap tricks to fool you into thinking you actually lost weight. Many weight loss aids contain or even are diuretics. They help you eliminate more fluids from your body faster. Thus you lose weight (water weight) very fast. Once you stop taking them all the water weight comes back. Plus while you are taking the diuretics you can’t stray too far from a bathroom. Other weight loss aids contain substances that decrease your appetite. The stimulants found in them directly act upon your brain, making you feel less hungry. They don’t actually burn the fat, they only help you eat less. This sounds great considering the fact hunger is the most vile enemy of any dieter. But the side effects of these appetite suppressant substances aren’t pretty at all: dizziness and nausea. Along the time there were several prescription weight loss drugs. The majority of them have been outlawed by the FDA because of their severe side effect on the human body. The weight loss aids redux and fenfluramine are a classic example. 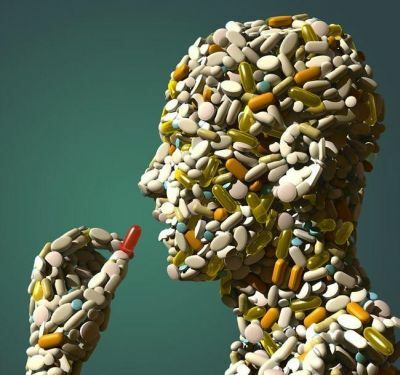 After the FDA discovered that these prescription weight loss drugs were causing heart problems (heart functioning abnormalities and heart valve defects) they advised anyone taking them to stop and visit their doctor as fast as possible. Of course the drug companies developed new and improved prescription weight loss drugs. Got rid of the serious health problems these weight loss aids used to cause, and replaced them with something less threatening like: dry mouth, nervousness, sleep disturbances, diarrhea, depression and in severe cases rapid or irregular heartbeat. If you are really unlucky when using these weight loss drugs you can get pulmonary hypertension. The good news is these prescription weight loss drugs work and they help you lose weight. The bad news is that once you stop taking them you get fat again. After all if they invented the permanent weight loss pill they would be losing a customer. And they have lots of pills to sell. The truth of the matter is that using weight loss aids isn’t something bad. You just have to use them smart. Don’t use them as you primary weight loss method. As their name implies, they are aids. Get on a healthy diet, start exercising and use some of the weight loss aids to help you get through the rough parts of your weight loss plan. For example if you feel emotional hunger, take a pill to get rid of it. If you don’t have enough energy take something that will give you an energy boost. Use diet pills, herbal slimming tea, powders and concoctions just like you used the training wheels on your first bike: to learn to keep your balance. The purpose is to get rid of the weight loss aids as you approach your ideal weight and keep it with your new healthy lifestyle.